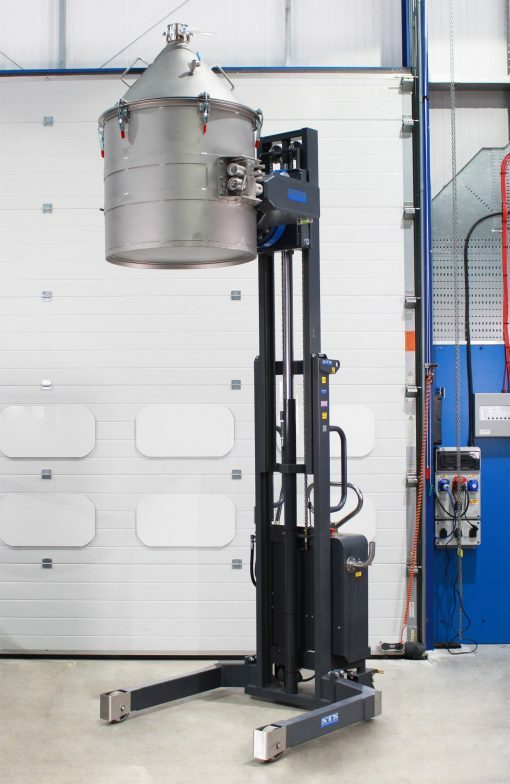 Innovative additive manufacturing requires fully-compliant mixing and handling systems. 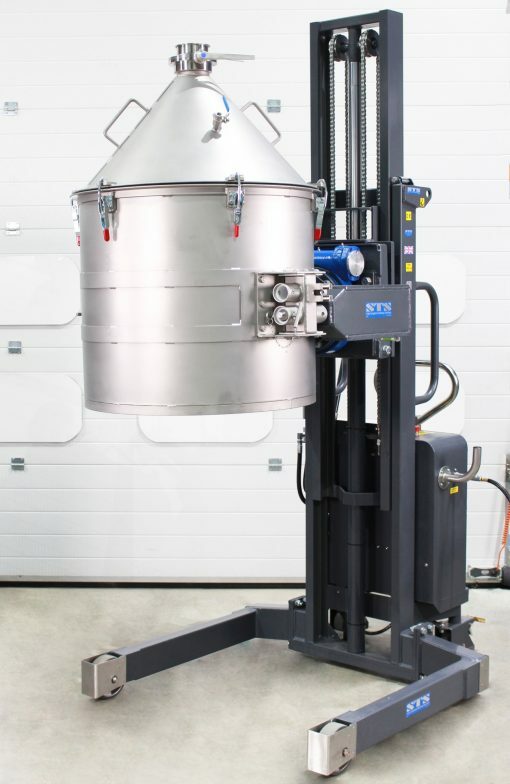 Drum inverter – required for lifting drums of material into and out of the mixer. 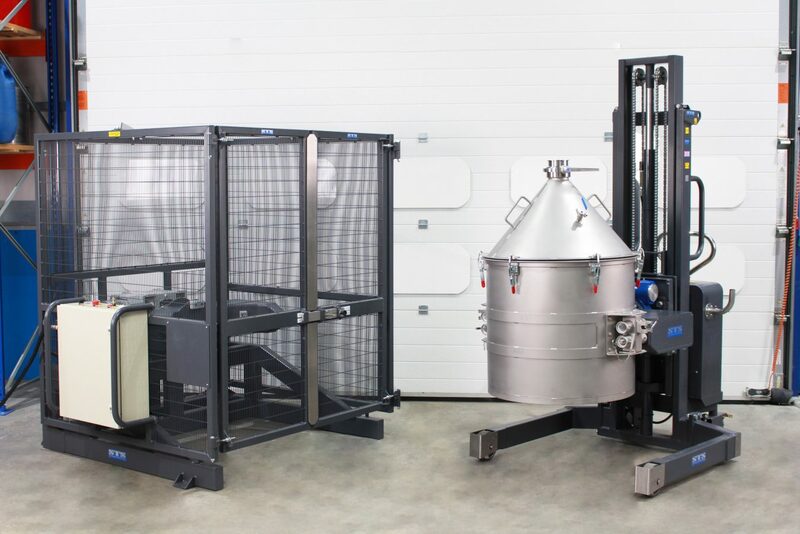 The stacker would also be used to raise and invert the drums 180°, ready for docking with custom sieving equipment. 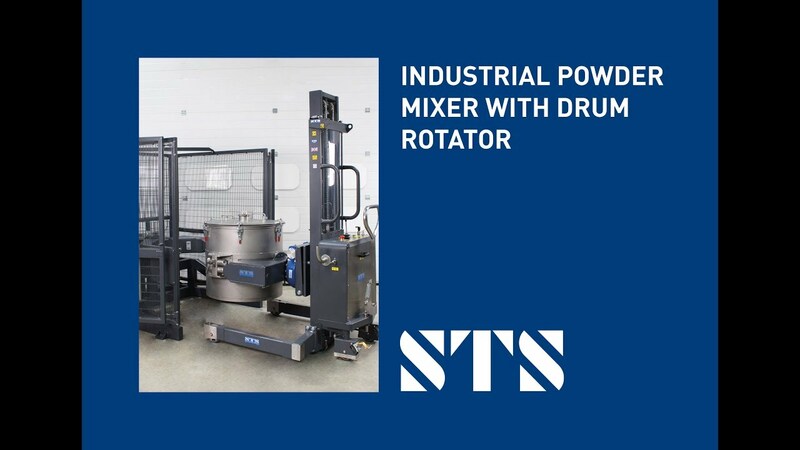 Drum mixer – required for combining titanium powder into a homogeneous mixture for additive manufacturing. Equipment was air-powered with ATEX zone 1 certification. drums to be loaded using a bespoke drum inverter. manual slew-ring rotation to reduce overall cost. 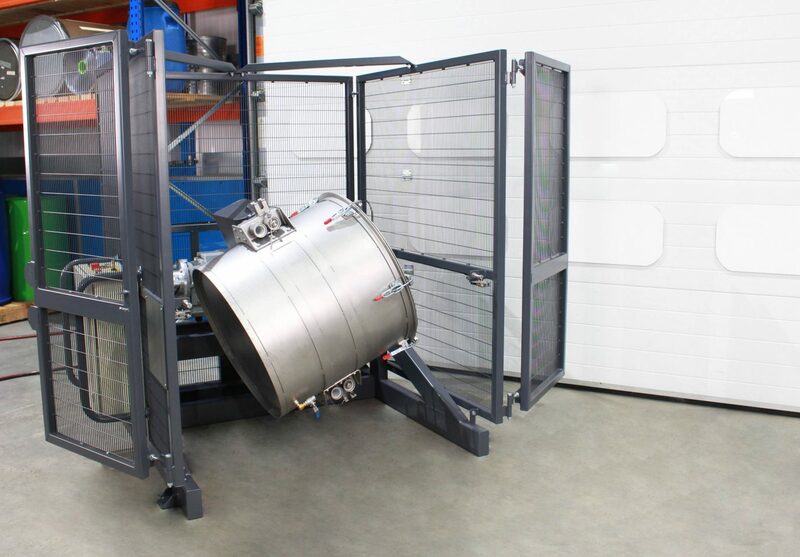 Our team is able to design and develop a range of drum handling equipment to integrate with your existing/new manufacturing processes. Get in touch with our technical sales team to discuss your requirements and learn about how we can assist your company. Mix 200- to 220-litre steel, plastic and fibreboard drums end-over-end with our premium-quality drum mixer. We can supply an electric model for safe areas or a pneumatic-hydraulic model for ATEX hazardous areas.